We welcomed a very special visitor to the gallery this week. Jane Bradford travelled up from Somerset to see the gallery which was named in honour of her beloved god-mother Clare White. Jane used to holiday with her ‘Aunty Clare’ in St Ives most years and has fond memories of her painting expeditions and general spirit of fun. 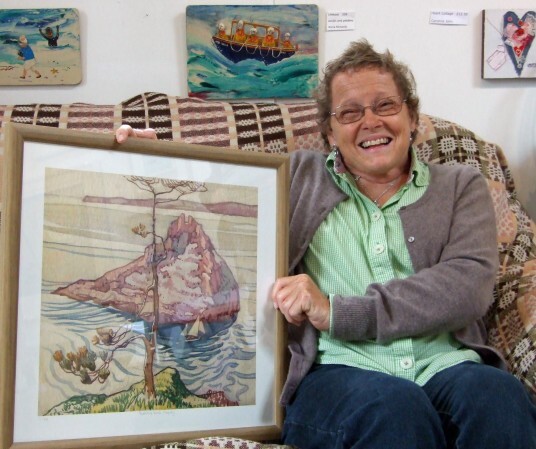 Jane is seen holding a print of Clare’s, ‘Thatcher’s Rock, Torquay’.